Too few companies pay enough attention to allocating effectively the internal talent they have. This is true even in the cases where considerable time is spent identifying and recruiting high potential people and the value of talented people is understood within the organization. An excellent way to really capture the value of talent management policies and processes is to allocate talent across the traditional organizational silos in order to expose them to novel tasks and roles. Few things teach high potential individuals more rapidly than stretch goals that are not unrealistic to reach, but require the individual to leave the infamous comfort zone. The support of the organization – especially the boss – is crucial. Allowing the talent to defy the stick to ones knitting type of thinking and experiment in an area where formerly unutilized competencies are needed is not an obvious move. This especially in silo-structured large organizations, where orthodoxies regarding job roles within the silos can be persistent, and required competencies and skills are listed for each job or role so carefully that no one dares to challenge them. These orthodoxies prevent people from taking another path and utilizing a competence the organization never knew they had since they never asked or considered it to be of any use. Also in smaller companies, mind you! Even before courageous resource allocation – if such a technical term is allowed, since after all, we are talking about human beings here – the organization should ask whether the management is equipped to start genuinely managing talent. Do managers know what is meant by talent and how to identify, attract, develop, deploy, engage and retain it? Knowing is only a starting point; the talent mindset in the organization prevails only when all managers know how to apply the jointly agreed systems and processes. This should not surprise anyone; talent management is strategic only when it derives from and feeds to the strategy! Strategic competencies, an essential component in people management in general and talent management in particular, are derived from the strategic capabilities deemed strategic and critical to the organization. Strategic competencies in turn are individual/ team level, internal, and defined as knowledge, skills, abilities together with previous experience and attitudes that are required in a certain role or function. It is hard enough a process to go through once a year, let alone that the management would have time or energy to do it more often than that, or more systematically, for that matter. Some researchers, like Mark Huselid, refer to this obvious weakness by stating that based on his and others long experience, firms that have most sophisticated and differentiated R&D, marketing etc. strategies, often have the most generic and undifferentiated workforce strategies. Assessing employees correctly, taking into account not only what they can do (i.e. the competencies and skills together with previous experience), but how, and how passionately they do it (attitude, social skills and learning agility to name a few) together with indicators of potential, is a huge and important task from strategic point of view, and extremely challenging. These decisions, however, will make or break the success of the company, especially in the context of the so called critical positions, the ones that are crucial in terms of taking the company to where it is heading in the future. These A-positions are defined by their direct impact on achieving strategic goals and the performance levels of the incumbents. Defining clearly what exactly is meant by talent, is a management obligation. By the way, multiple definitions instead of one single throughout the organization can be advantageous for competition and talent attraction. Furthermore, the definition would most probably benefit from making a clear distinction between performance (history) and potential (future). Ulrich and Smallwood, HR household names, have synthesized the formula for talent in a simple manner; it is a multiplication of three components; competence, commitment and contribution. It is important to notice that it really is a multiplicative formula, not additive. In case one is missing and arithmetically a zero, the result is a zero as we all know already from math classes. This is one example of talent management decisions being tough and of how they differ from other business initiatives; you need to balance the decisions between differentiating individuals as opposed to treating employees equally. It is relatively straightforward to follow the guidelines of job descriptions, norms, and behaviors i.e. to measure the present. Contribution is equally easy; we have built in measures and KPIs when designing the performance management (PM) system of our organization. Which, in turn, showcases the need to link talent management to other HR processes like performance management; talent management will not work as a stand-alone process. It also means that traditional performance management - quite a bit of red tape and paperwork, anxious waiting for THE one-on-one with the boss and possibly forced rankings - should be looked into with a grain of salt. Even if the targets have to be checked regularly and achieving them ensured, PM in its purest, traditional once a year form is probably not going to help the organization too much on its way onwards. PM is an in hindsight process looking at the rear mirror when measuring the value of each individuals contribution. This is where talent management comes into the picture; it is regular dialogue, communication, feedback and a process that incrementally unfolds all year long in order to make sure that development happens on a regular basis and the contributions get noticed and positive and productive behavior is enforced. However, when discussing potential and eventual future success, it seems that line managers get often somewhat uneasy. They need to know how potential can be measured, can one use the good old gut feeling for some things. And how is potential actually manifested? Some tips and hints follow. Many practitioners and researchers alike agree on the notion that competence lists as a basis of recruitment and predicting success are outdated and do not work in the VUCA—volatile, uncertain, complex and ambiguous - world of today. We need to look forward and measure potential, which can be defined as the ability to adapt to ever-changing business environments and grow into challenging new roles. The definition is taken from an article written by Claudio Férnandez-Araoz (HBR, June 2014), who emphasizes curiosity as one important factor in potential. I totally agree; curiosity might have killed the cat, but that was a long time ago. It means the willingness to seek out new experiences and knowledge. It also means that the curious individual looks for candid feedback and is willing to learn and change if necessary and beneficial. The other components of potential in Férnandez-Araozs definition, are engagement, insight and determination. These are probably more familiar to managers, albeit not that much easier to spot at least with traditional performance management questions and methods. They are not less important either. Simple, even surprising questions can be asked; what makes you laugh, is it easy for you to ask for help, when did you last offer to help someone, what steps do you take to seek out the unknown? Certainly analyses and tests can, and should, be used as well. This, I think, gives you enough food for thought in terms of checking your own Talent Management strategies and an incentive to learn more about it! 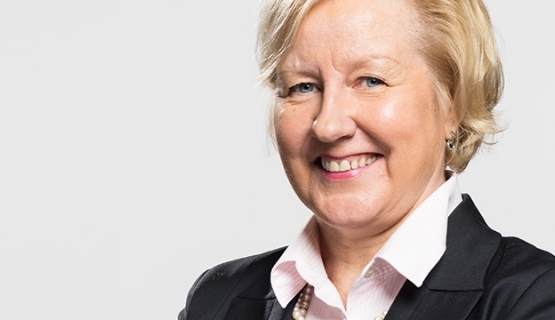 Riitta Lumme-Tuomala is Aalto EE's Head of Growth and Director Russia and Talent Management. She wrote her DBA thesis on Talent Management and is the instructor at Strategic Talent Management program. How to Lead Talents?Talent can no longer be reduced merely to a list of competencies. My DBA Journey: Writing my First PaperI am writing this in the library where, at the pace of a snail, I am rewriting my first paper, my first “submission”.